Three Ethiopian soldiers are reportedly killed in Amaro District in Guji area yesterday. Ethiopian Satellite Television cited residents in the area as saying that the soldiers were killed when Oromo Liberation Front (OLF) gunmen ambushed them. Another solider sustained a serious injury. However, Ethiopian government has not officially confirmed the identities of the gunmen. The killings are linked to re-surging conflict between Guji and Kore communities in the region, which is in southern Ethiopia. 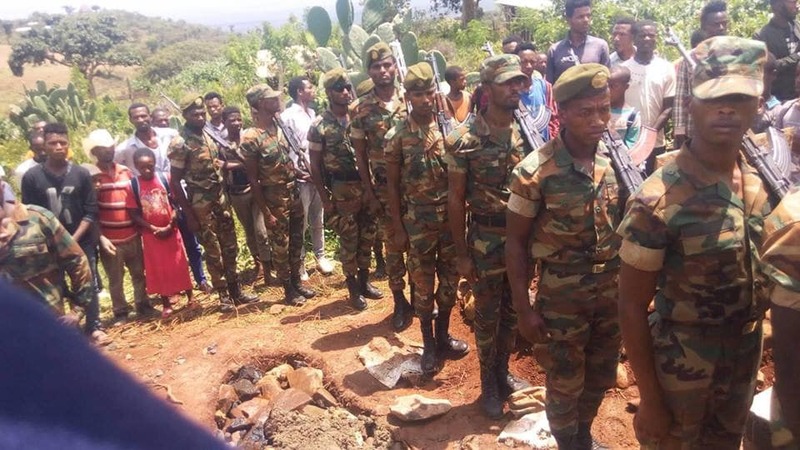 Ethiopian Defense Force carried out retaliatory attack and killed two gunmen, as reported by ESAT which cited eyewitness account from the region. Funeral for the fallen members of Ethiopian Defense Force took place today, added the report. Ethiopian government has been calling on Oromo Liberation Front (OLF) to disarm its gunmen. But OLF claimed that there was no agreement, whatsoever, regarding disarming combatants. Last week, Ethiopian government issued stern warning for OLF to disarm its forces or else Ethiopian government will be compelled to do it itself as it has to ensure law and order in the country. 2 Responses to "OLF Gunmen allegedly killed three Ethiopian soldiers"
Governments is proactively doing its best, who you are?